Smart Growth America and the Coalition for Smarter Growth, our local DC regional partner, welcomed thirty other state and regional smart growth organizations from around the country to Washington, DC this week for their annual meeting, including a day of meetings with their legislators to encourage them to pass smart federal policies to support their efforts to build strong communities. The former Michigan Bell and Western Electric Warehouse is being rennovated to become a home for the Neighborhood Service Organization and 155 housing units for homeless individuals. The project is made possible by federal and state historic tax credits, federal brownfields tax credits and a 10-year tax abatement from the City of Detroit. Photo copyright by Michael G. Smith. Used with permission. New legislation moving through the Michigan State Senate could make it easier for developers to clean up and rebuild on brownfields in the state. Michigan’s Senate Bill 1210, an amendment to the state’s Brownfield Redevelopment Financing Act (Act 381), is likely to see significant changes this year. If enacted, the bill would promote urban development throughout the state, reduce regulatory requirements, streamline the approval process. Here’s an overview of how. 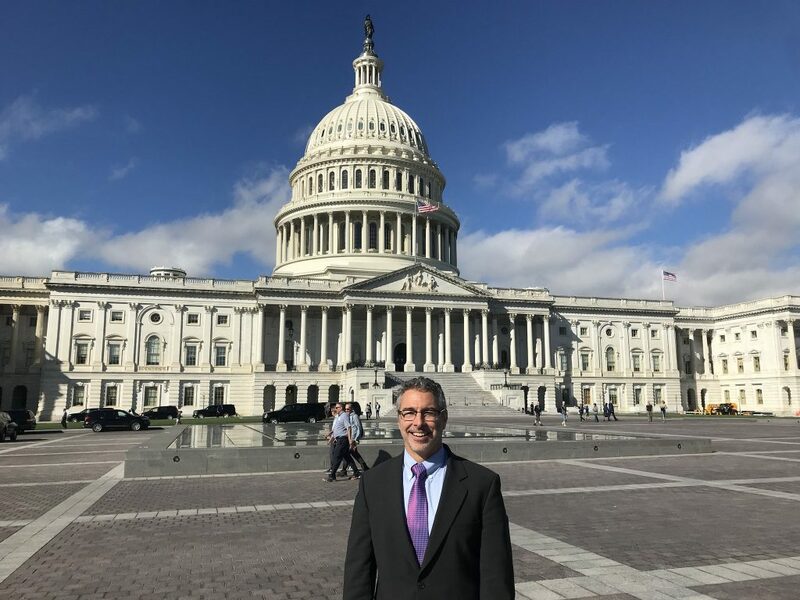 A new report released today by Smart Growth America and the Natural Resources Defense Council found that transportation policies in every state could save money and reduce carbon emissions by making smarter decisions with state funds. In “Getting Back on Track: Climate Change and State Transportation Policy,” SGA and NRDC found that current transportation policies in almost all 50 states either fail to curb carbon emission rates or, in some cases, actually increase emissions. This contradiction between state policies and broader efforts to reduce carbon emissions means not only that many states are missing opportunities to protect clean air; it means they are missing economic opportunities as well. Transportation makes up an enormous proportion of our national economy and our environmental impact: it must be front and center as we think about how to get the most out of our public investments. The states that rose to the top in this report, California, Maryland and New Jersey, are there because they are meeting the challenge to innovate. 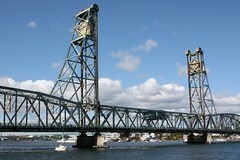 Kittery-Portsmouth Memorial Bridge, originally uploaded by cmh2315fl. Serious policy analysts don’t talk like that, but in fact the US Department of Transportation rates 12 percent (71,000) of the nations’ bridges as “structurally deficient,” which means that a bridge has a major defect in its support structure or its deck is cracking and deteriorating. TIGER 2 will repair of three (3) of them. The North Carolina General Assembly recently passed legislation establishing a Sustainable Communities Task Force within the Department of Environment and Natural Resources. North Carolina is now the latest state to recognize the connections between cross-agency governance at the state level, coordination with stakeholders at the local level, and sustainable communities on the ground. Smart Growth America State Policy Director Will Schroeer was on Fox Business this morning, discussing our 120-day report from Minneapolis.